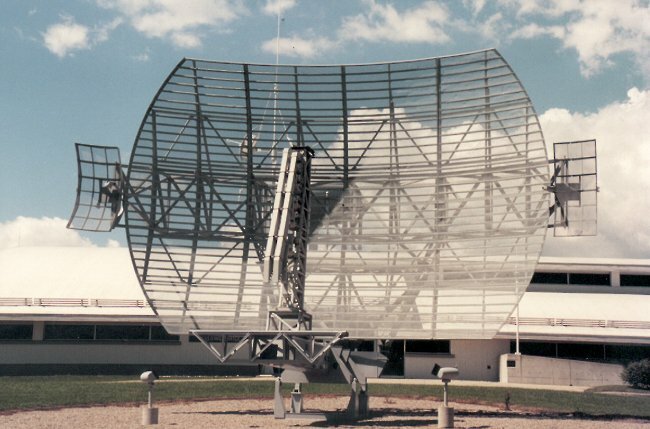 Westinghouse built an FD search radar designed to operate in the S band at 2322 to 2670 MHz. The radar was designed to have a maximum range of 220 nautical miles and search to an altitude of 150,000 feet. System problems required several modifications and once these problems had been solved, installation into Pinetree Line sites commenced in the early 1960s. 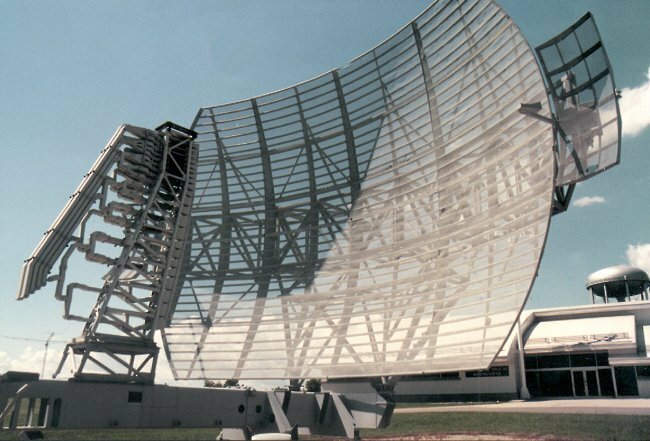 In the early 1970s, those radar stations still using the AN/FPS-27 equipment received a modification (solid state circuitry replaced vacuum tubes) which improved reliability and saved on maintenance costs. The FPS-27 was used in SAGE operations. 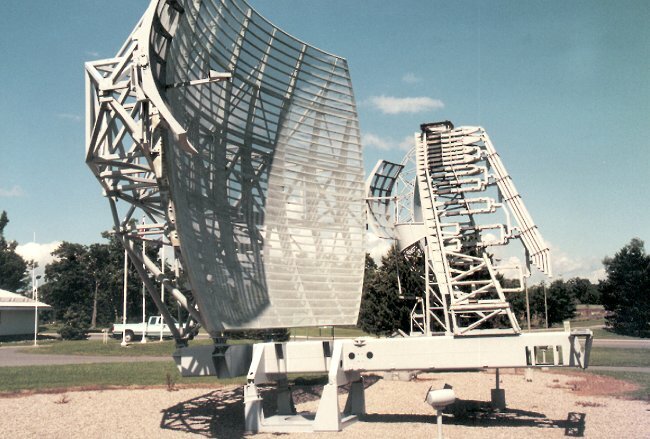 AN/FPS-27A search radar antenna at the Communications & Electronics museum in Kingston, Ontario - August 2000. 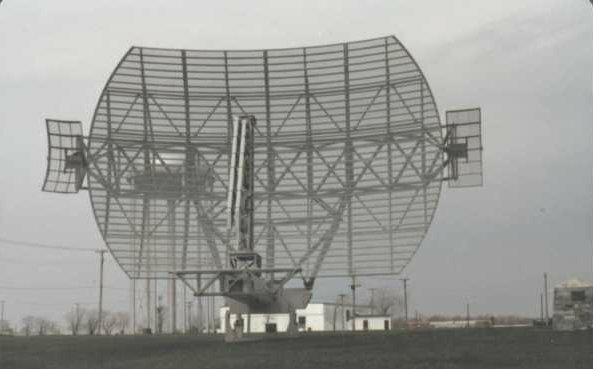 AN/FPS-27 search radar antenna - August 1999.